I have received numerous emails since I was selected to represent UKIP about the NHS and what we would do for it so I thought I would do a public letter on the matter. So let me get something straight right here right now. 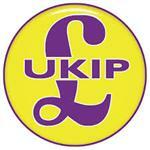 UKIP do not and will not condone any form of privatisation of the NHS. The NHS in UKIP’s hands would be free at the point of entry for all UK residents. We oppose the PFI agreements that have blighted the NHS saddling it with massive debt it can barely pay, we oppose health tourism and we oppose TTIP. It is right that we should be proud of the NHS, it is a wonderful achievement of a proud country and is a legacy for millions. Under Labour and the Conservatives PFI’s were both introduced and continued. Only UKIP would oppose this. We don’t do deals we do common sense. If it makes the service worse in the long run that is not common sense. The people of Sedgefield, depending where they live, need access to their local hospital. Those on the east have nearly lost Hartlepool, those on the west have Bishop Auckland and those in the middle North Tees. Yet Sedgefield has a virtually untapped hospital where local services could be taken. Yes the main operations need major hospitals, but the community hospital and ones like it can have a purpose and I if elected as MP for Sedgefield would fight to ensure that everyone has easy access to a hospital that is local to them, and this includes trying to get the shuttle bus to include Sedgefield, the Trimdons and Fishburn areas. John Leathley Prospective Parliamentary Candidate for Sedgefield.